There's some very exciting news about the use of coconut oil. You probably know from my previous newsletters that I don’t recommend margarine, Crisco, canola or other grain oils. 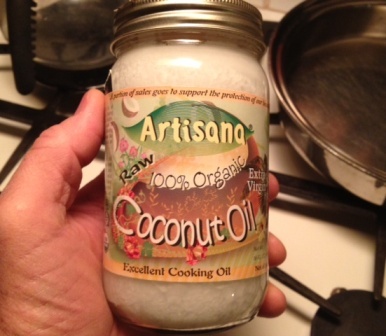 I use butter, meat fats and nut oils primarily, but I have always enjoyed coconut oil. After learning about this research, my wife Judy recommended to one of her friends the trial of coconut oil to help her husband with Parkinson’s disease. His symptoms improved in one day. Mary T. Newport, M.D. grew up in Cincinnati, Ohio, attended Xavier University for pre-medicine, and graduated from the University Of Cincinnati College Of Medicine in 1978. Dr. Newport has been married to Steve Newport since 1972 and they have two daughters and a grandson. She has written an article, “What If There Was a Cure for Alzheimer's disease and No One Knew?”Link to Article She is spreading the story of her family's experience with this disease and her research into helping people with Alzheimer's and other neurodegenerative diseases. September 2011 was the release day of her book: Alzheimer's Disease: What If There Was A Cure? Dr. Newport's effective work on memory loss and Alzheimer's with coconut oil.